Our Mint and Lime Bouquet will renew and refresh their spirit with this eye-popping arrangement. 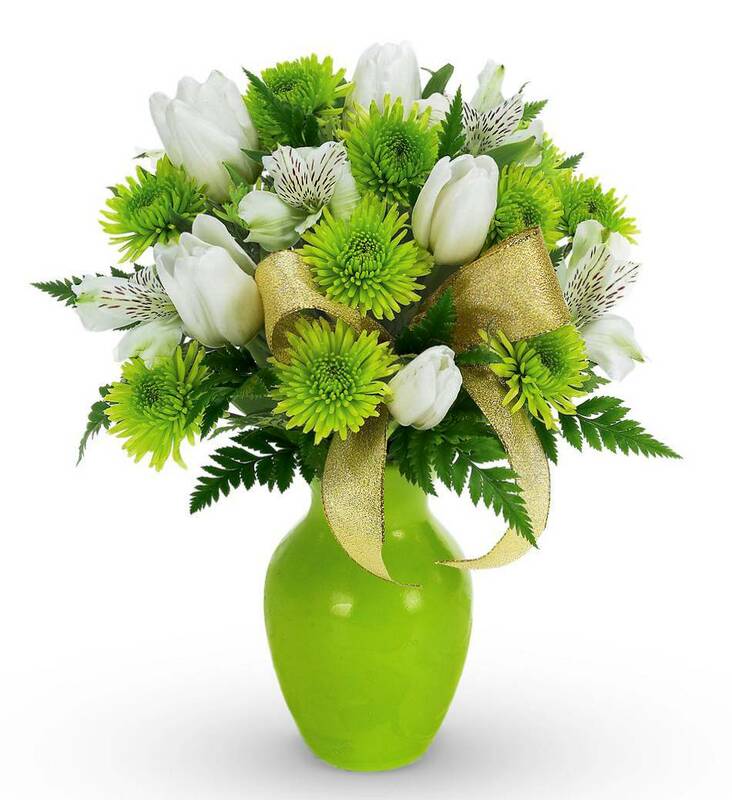 Standing bright in a lovely green vase with white tulips, alstroemeria and green button poms, this bouquet will dazzle anyones day! 03/16/2012 7:34PM This is an interesting idea for flowers. I'd like to call myself someone who's eco-aware and I think that this should be a standard for most if not all flower arrangements. I'm definitely ordering this arrangement just for this reason.— Vanessa C.